A one-hour, interactive session for anyone using or interested in shared measurement within a Collective Impact initiative. This webinar was held on 18 February 2014. The Collective Impact approach to designing and managing multi-sector collaborative initiatives has at is core shared measurement. Defining measures is often something that is new and challenging for the partners involved. Sharing the lessons learned from Vibrant Communities Canada and other collaborative initiatives, our keynote presenter Liz Weaver provided insights and tools for developing a shared measurement approach. Maureen Gillon, Shine Porirua chairperson and trustee of Social and Civic Policy Institute, brought a New Zealand perspective talking about a practical example of Collective Impact in an education setting. 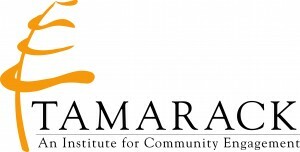 Liz is a Vice President with Tamarack – An Institute for Community Engagement. In this role, she leads the Vibrant Communities Canada team provides coaching, leadership and support to community partners across Canada. As lead coach, she helps initiatives develop their frameworks of change, supports and guides their projects and helps connect them to Vibrant Communities and other comprehensive community collaborative efforts. Liz is one of Tamarack’s popular trainers and has developed and delivered curriculum on a variety of workshop topics including collaborative governance, leadership, collective impact, community innovation, influencing policy change and social media for impact and engagement. She visited New Zealand in September 2013. Maureen chairs the Shine – The Porirua Education Initiative. She is a trustee of Social & Civic Policy Institute, Wellington. From July – December 2013, Maureen was International Research Resident at the Kettering Foundation, Dayton, Ohio, USA. While working for the Royal NZ College of General Practitioners she was responsible for the Quality and Safety portfolio. Maureen also chairs an education summit group and is on the board of the Zonta Club of Mana. She has previously served as a Porirua City Councillor, and chaired Porirua Centre of Excellence in Healthcare and Porirua Healthlinks Project.